Your DIY flowers have arrived! Now what? Our floral expert Jeff is going to show you how to care for tulips, starting with flower re-hydration and flower prep, with helpful tips along the way! Tulips come in a wide variety of colors; pink, red, orange, peach, white, yellow, purple and even bi-color varieties. Tulips come with one bloom per stem with thick, droopy stems encased in large leaves. The petals are tightly packed and have a star shape when they fully bloom. Other varieties have ruffled petals, like parrot tulips. Tulips look great in glass centerpiece or in whimsical bouquets! You can use them in your arrangement with our without leaves depending on the style you’re trying to achieve. Fun Fact: Tulips keep growing after they’re cut if you put them in water! How Many Stems of Tulips Will I Need? 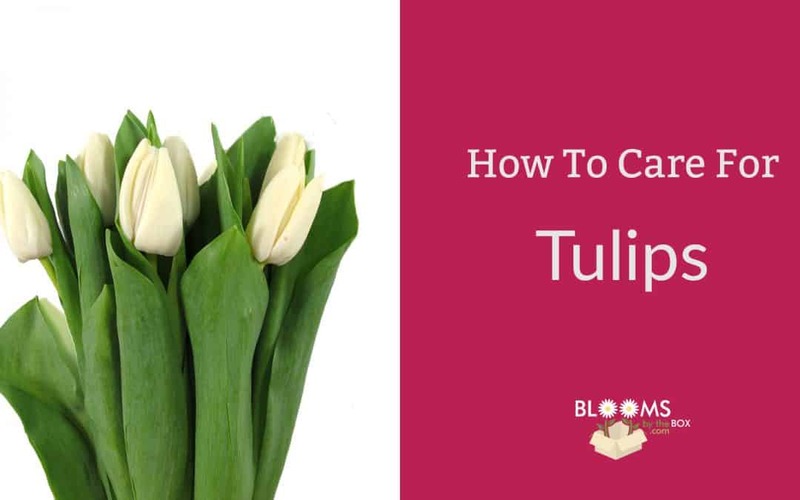 Follow this easy guide to see how many tulips you’ll need to make bouquets and arrangements. Our tulips are sold by the bunch with 10 stems per bunch.